What is Online Facility Management Software? Online Facility Management Software exists for businesses to focus on the coordination of their workspace, infrastructure, employees or consumers. Facility Management Software offers a wide range of tools for businesses to manage the aforementioned entities and is often used to find and distinguish new ways of working. The Facility Management Software here is offered under the SaaS (Software as a Service) model, meaning that the software is web based, hosted on the Cloud and can be accessed when needed through a client or web browser. 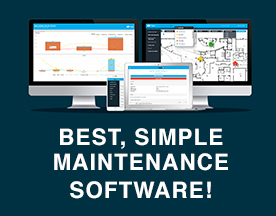 If you’re looking for online software similar to Facility Management Software, consider our Business Management or Applications Suites Software categories.